5 Bedroom Detached House For Sale in Brentwood for Offers in excess of £990,000. A lovely detached double-storey five-bedroom home with two ensuites and a bathroom in a plot of just under a quarter of an acre in a quiet no-through road in central Brentwood. The property is just a few minutes walk away from the High Street and mainline station with links to Liverpool Street and the soon-to-be launched Crossrail service. Briefly the ground floor includes a contemporary 44ft long kitchen-diner with family room and dining room with views of the park-like garden and a sunny courtyard terrace; two reception rooms with original fireplaces and parquet flooring; a generous hallway; cloakroom; and a utility room with access to a garage. Upstairs, leading from the spacious landing is the airy master bedroom which has an ensuite shower room and Juliette balcony overlooking the garden. There are four further double bedrooms, one with an ensuite and Juliette balcony, a Jack and Jill family bathroom and access to a loft. Outside at the front is a carriage driveway with parking for several cars. There is a sun terrace and mature landscaped gardens. 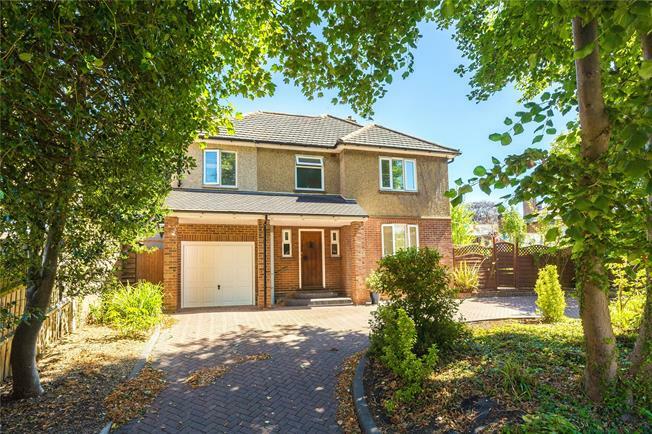 As well as Brentwood Station, the location is well-served by excellent schools including The Brentwood School and Ursuline Convent School, a vibrant High Street and excellent road links via M25.